mine is "Kuch Kuch Hota Hai".. me just love the movie.. catually lost count how many times i have seen it.. and each time i see it.. it touches my heart..
you really need to watch a lot of movies. try roman holiday. my all time favourite movie is the TRUMAN show, i think everybody in his life must have sometime or the other thought that everybody around them is wattchin 'em or just putting up an act like they makin fun of 'em. to put that idea into makin a movie is absolutely brilliant. This is my favorite movie too, and I cry every time I watch it. I would go for "million dollar baby".I was very much moved and i cant forgot the climax. my favorite movie has to be Tombstone. some of my favorite actors are in the movie. they all have great parts. my favorite part had to be val kilmer (sorry if i spelled his name wrong) playing doc Hollywood.one of his best lines in the movie has to be "i'm here huckleberry" taunting the other guy fight. Gone with the winds. That my favorite movie. Gone with the winds , quite good, but i thind the movie is not as good as the book, i love the book more. My fav. movie is "LAGAAN" a bollywood movie. and THE LORD OF THE RINGS (series) hollywood movies. Pride and prejudice. i love it very much. Till today we I and my kids though grown up love sound of music and its my husbands no1 movie even today. Not specifically but anything but horror movies. 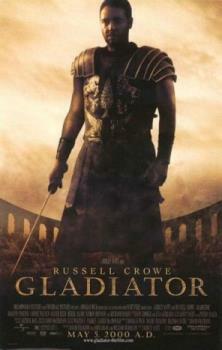 Any kind of horror movie and action movie like the movie of sylvester stallone, and other great holywood star. I love the horror film like the the scary movie with matching thriller effect. And I love that horror movie to scared myself. 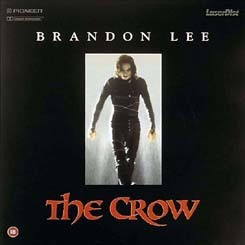 I would definitly have to say that my favorite movie is The Crow with Brandon Lee. They made a few other ones after that, but I haven't seen them. Have only seen the original and LOVE it! Independence Day - great schmocks! mine is "Schindler's List". The movie beautifully depicts the nuances of human relations, which do not recognise the religion/caste created by human beings.